Announcing the special Autumn Sale! 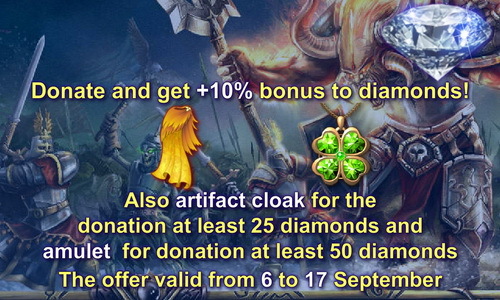 Starting today and through September 17, buy Diamonds and get +10% for free. 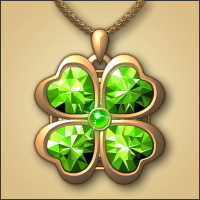 Buy a total of 25 Diamonds or more and get a uniq memorial gift artifact FREE! Even better, buy a total of 50 Diamonds or more while this sale lasts and get a second uniq artifact FREE! The unique cloak and clover is treated as a shop artifacts, and their parameters depend on the wearer’s combat level.